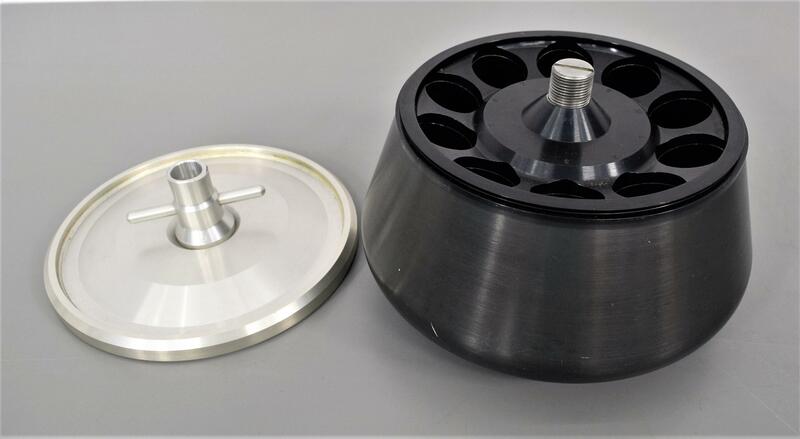 Sorvall Type 21 Fixed Angle Rotor 21000 RPM for Sorvall UltraPro 80 Centrifuge . New Life Scientific, Inc.
Our in-house technician inspected this Sorvall Type 21 Fixed Angle Rotor, confirming it to be in good condition. Noting that the lid lock is worn down on the top as shown in the photos.